Twenty years ago, Karen Falk was looking through a publication for museum professionals and saw a job listing for an archivist at The Jim Henson Company. At the time, she was working with museum clients at Christie’s, but she was ready for a change of pace. 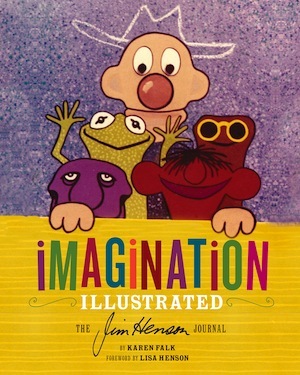 Henson died in 1990, and shortly thereafter, his widow Jane Henson decided that the company needed to maintain its extensive collection of documents, puppets, films, video and ephemera. Falk contextualized Henson’s tweet-like entries with short blog posts on her Jim’s Red Book blog, which is a fascinating nostalgic trip down memory lane that not only shows off Henson’s best works (many of them little known) but also contextualizes the work with Henson’s relationships with collaborators and historical events. Falk’s work on the collection led her to curate the recent Smithsonian exhibit, which traveled to the Museum of the Moving Image and other venues. I love all the things related to Rowlf the dog. He’s one of my favorite characters. He represents the connection between Jim and so many different people that he was working with at the time. I love his original sketches and designs we have, the Rolf licensed toys. We have all these little notebooks he kept in his pockets – telephone numbers, notes, reminders, he dated them all. It’s fun to connect those to the things he was doing at the time. “Great Muppet Caper” is my favorite of Jim’s movies.